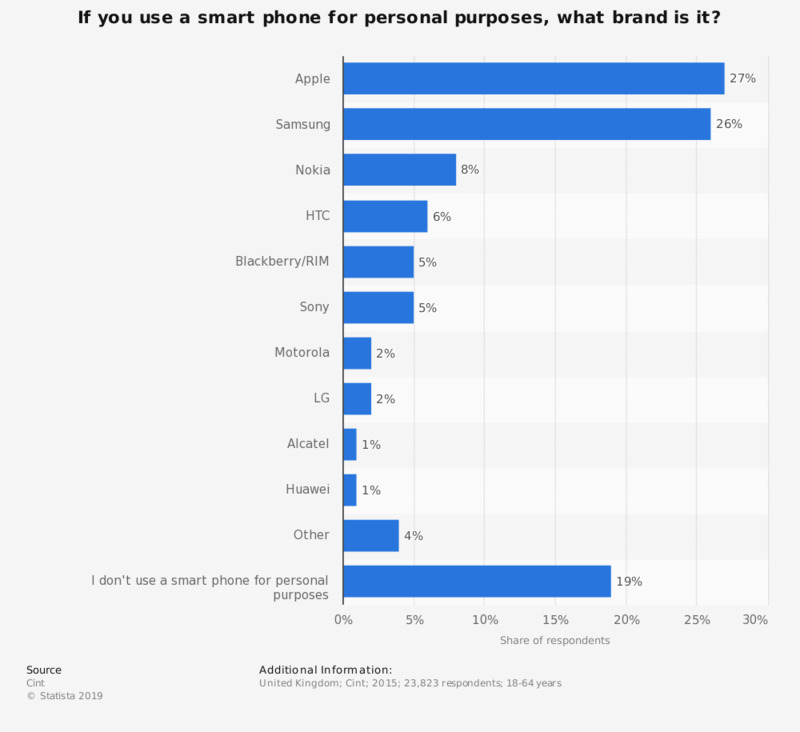 This survey displays smartphone use for personal purpose by respondents in the United Kingdom (UK) in 2015, by brand. During the survey, 27 percent of respondents said that they used their Apple smartphone for personal purposes. Is your smartphone for personal or business use?